Leyna & Craig enjoyed a moment to themselves on the shores of Lake Ontario. It was so easy to shoot this fun loving couple as they were so relaxed and just wanted to have a great time. You could just tell that Leyna was Craig's whole world and I was so honoured to be able to capture their love for each other. They are the sweetest people and I was so honoured to be the special person to shoot their wedding. 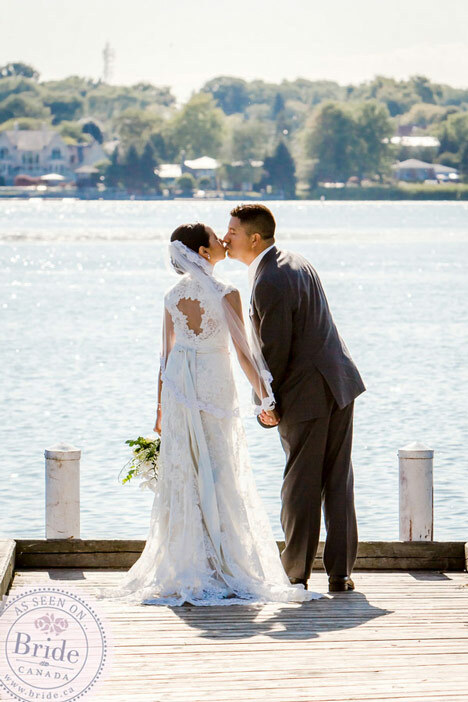 Leyna's beautiful lace gown was style '2455' by Allure Bridals purchased from Bridals on Spadina in Toronto. 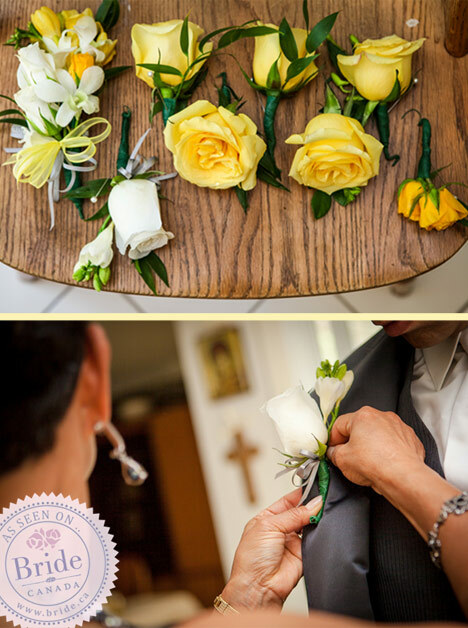 The boutonnières were made by the bride's mother. 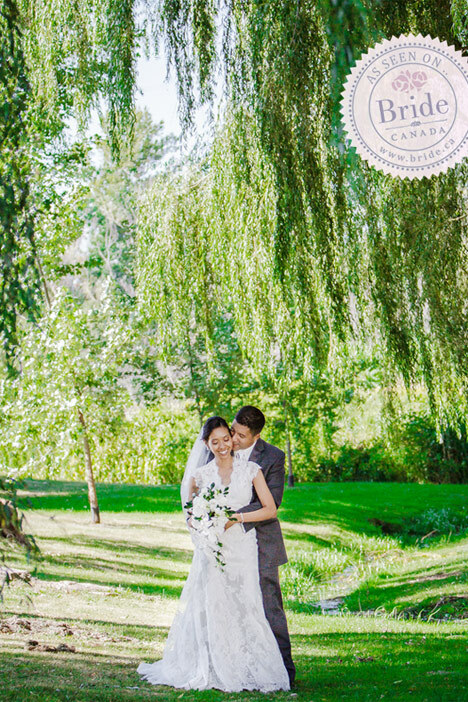 The couple enjoyed a quiet moment beneath the elm trees. 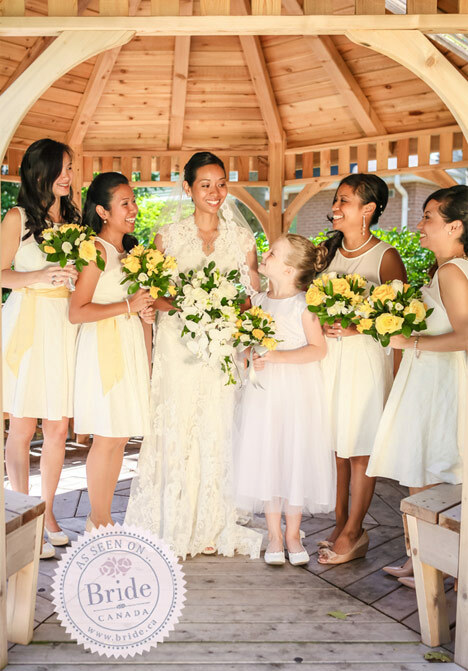 There were many great moments throughout the day including getting ready with my bridesmaids; taking photos; seeing one another for the first time that day and of course celebrating afterwards with our closest family and friends. When the time came to commit ourselves to one another before God that was a moment that stuck out the most because we cherished the fact that this was a once in a lifetime promise. The bridesmaids wore dresses from Le Chateau. 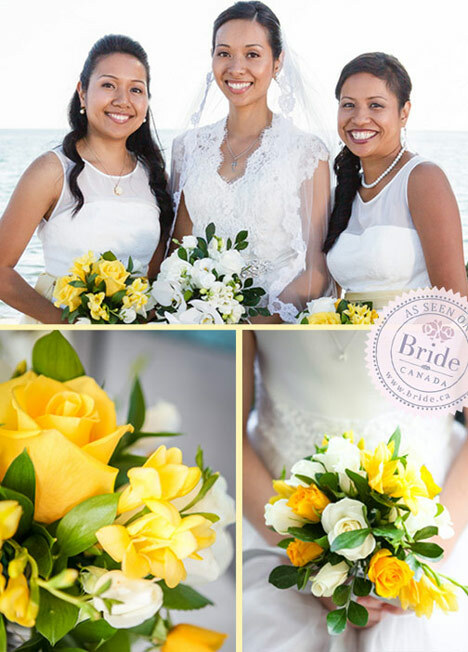 One of the colours that we chose was yellow so the bouquets consisted of a variety of flowers in different shades of yellow. It also created a nice contrast with the cream accents in both the dresses and the rest of the decor. 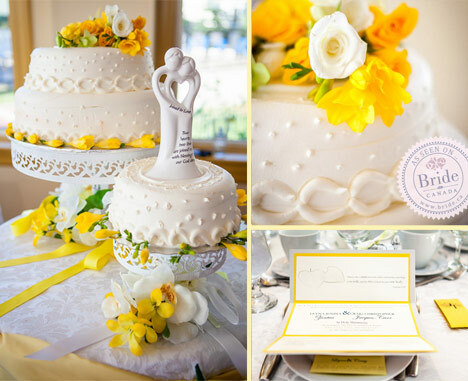 Part of the reason why this particular wedding detail is my favourite is because my mom, who used to run her own flower arrangement business, made the bouquets, boutenierres and arrangements for the ceremony and so that made it extra special." Absolutely stunning, as it sat on Lake Ontario where you could witness the sunset through an array of glass windows. 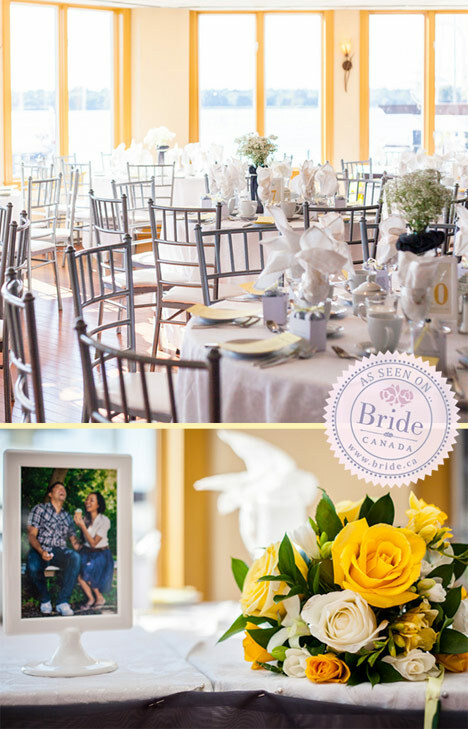 Cheerful pops of yellow were the perfect compliment to bright, airy room. The perfect way to end a perfect day? A few moments alone to enjoy the sunset! I remember being witness to some of the most well meaningful speeches at the reception and feeling the warm sunrays beam through the room while watching the sunset turn the sky into a multitude of colours. 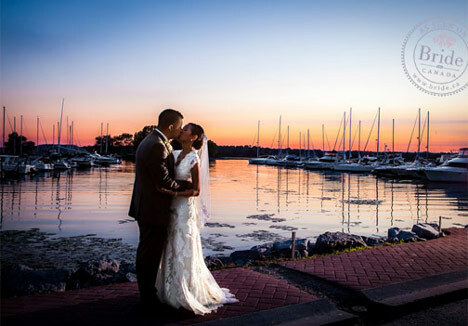 Of course, we had to take advantage of the location and the gorgeous sunset with a few bride & groom portraits.